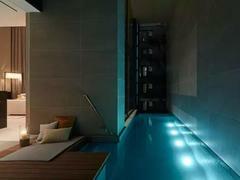 A villa with pool isn't that surprising - even a hotel might also have its own swimming pool. 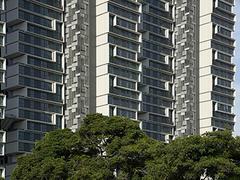 Most developments these days have typical apartment layouts, with the rare provision of a common swimming pool. 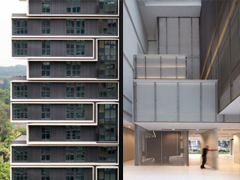 Singapore-based SCDA's Soori High Line residences encapsulate its architecture and interiors sensibilities in a collection of 31 private residences, with 16 apartments having their own private pool. Principal and founder Soo Chan has completed many high-rise pools in Singapore, Bangkok, Kuala Lumpur and other parts of Asia - but a high-rise private swimming pool in Manhattan is a rare feat. 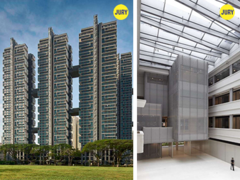 SCDA's work on the National Design Centre and SkyTerrace@Dawson in Singapore were both awarded Design of the Year in their respective categories at the President's Design Awards, 2016. 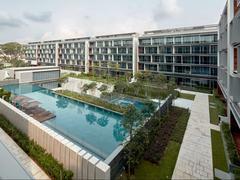 A meaningful engagement with nature was the driving thought behind the conceptualization of Seletar Park Residence.The interaction of the living spaces with the lush gardens and water courts engenders a sensuous engagement with the elements, resulting in a calming, peaceful environment. Sky Terrace @ Dawson has won the RIBA Award for International Excellence for 2016. Sky Terrace is an ambitious new exploration of social housing in Singapore which include goals of 50% cheaper construction than typical private developments, natural ventilation and the creation of units where three generations of the same family can live together. 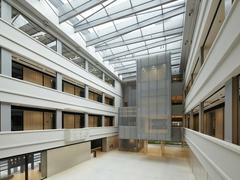 This project has broken new ground for public housing in Singapore and includes features which when incorporated in future public housing will improve the living environment of the vast majority of Singaporeans. 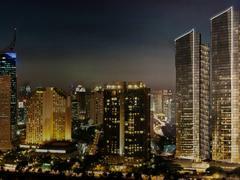 GCNM Towers has won the Indonesia Property Award for Best High Rise Residential Architectural Design. 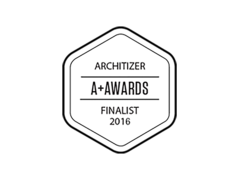 SCDA has been admitted into the final round for the South East Asia category. Arzuria (Indonesia) has broken ground and has a sales office.